Well everybody it was another amazing day for a troop. 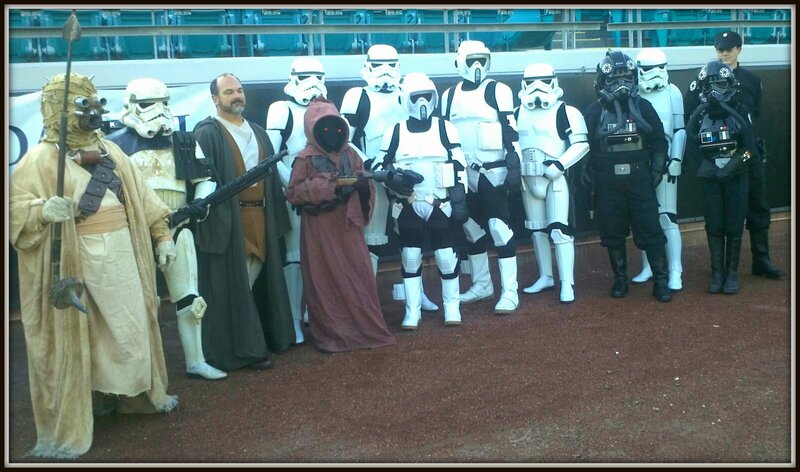 I headed down to the Jaguars stadium to get ready for a day of trooping for the Arthritis Walk. When I arrived volunteers were buzzing about getting all the booths setup and ready for the public. The sun started to peek over the rim of the stadium and knocked off the cool air and members of Squad 7 started to show up and we assembled in one of the halls that lead to the field. You know how they say TV adds 5 or so pounds to a person, well I think the same holds true for the Jaguars football field. On TV when we are cheering the runner to run in for a touchdown it seems to take longer then we would like it to as the field (100 yards) it seems so very long. However when I walked out to the field it didn’t seem very big at all and I was surprised by that. Its was still an amazing sight being down on the field looking up to the seats. We all dressed out and went to the field and was meet by the public and all the cameras that they could hold and photo opt’s O plenty. We mingled about for about 30 min and then the event heads introduced all the people that help fund and plan the day. 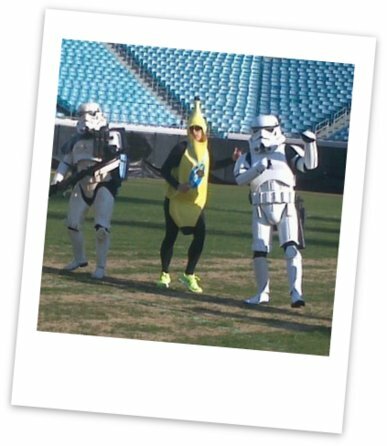 After that they introduced us to an instructor that would have some of us troopers doing the Zumba on the field. I am sure we looked funny dancing and moving about but we did it and it was fun. It was now time for the public to start the Arthritis walk by walking around the stadium a few time and we were dispatched around in places to help them stay on course. it seem an endless line of people walking by and then they did it all again. Once we completed the mission assignment we walked around again for more photo opt’s and then headed back to home base and end our mission for the day. I had a great time and the event was well done.